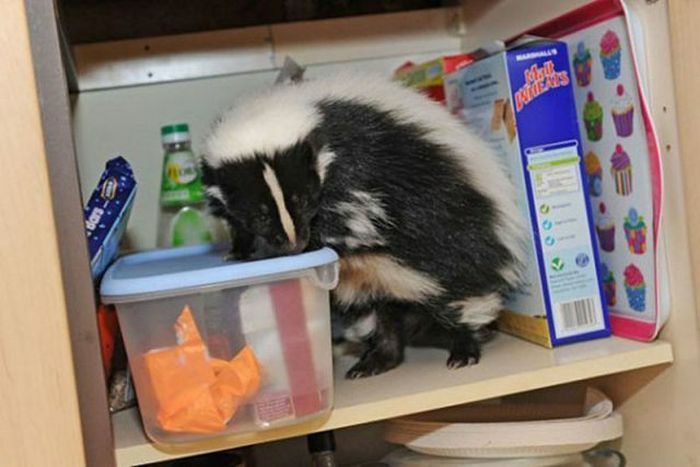 Stush is a pet skunk that belongs to a seven-year-old girl named Mimi. 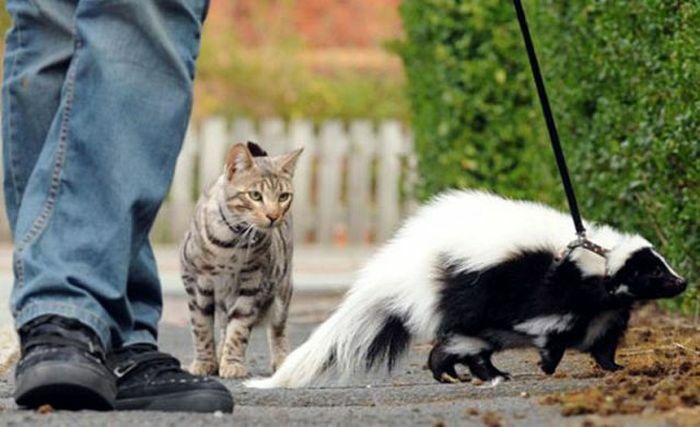 They live in Rugeley, Staffordshire, UK. Stush is part of a local rehabilitation program for people needing psychological help. 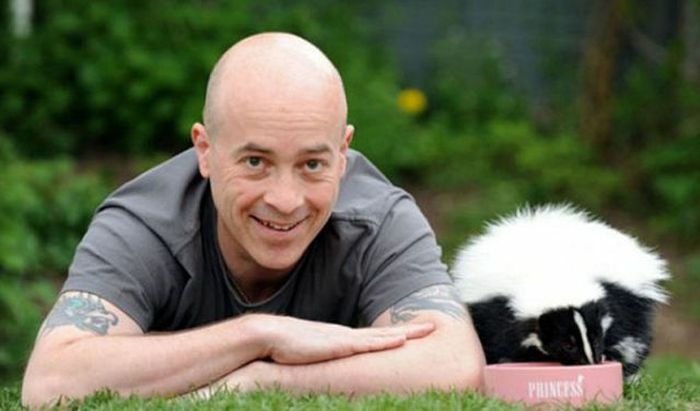 With a pet skunk, you'll always have someone to blame your farts on.